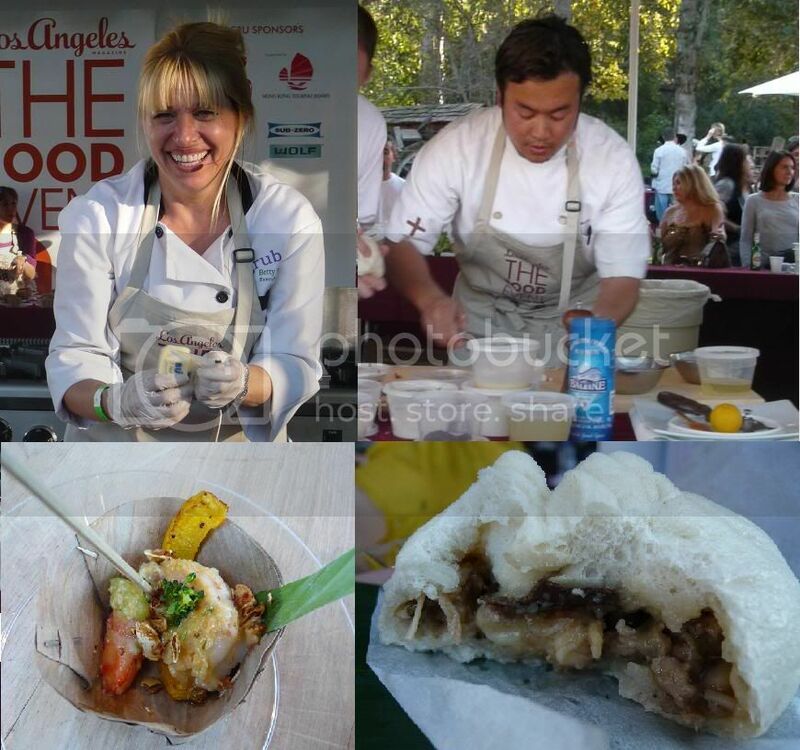 The Food Event, hosted by Los Angeles Magazine, is perhaps my favorite of this type of events so far this year! And it is actually the cheapest at that - $60 admission (disclosure: I was able to obtain a media pass for the event, but you'll see the $60 would be well worth it! 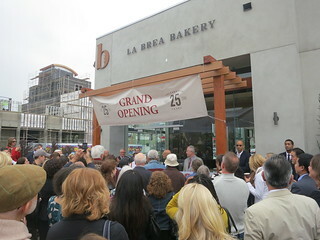 Plus it also benefits Concern Foundation and LA Food Bank!). 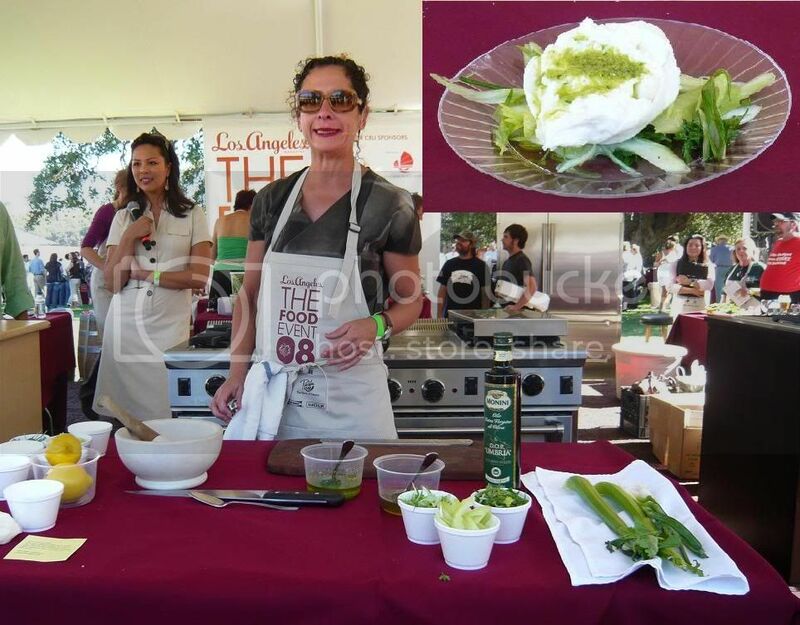 I bumped into LA&OC Foodie there, who already posted his review, and we both agree that this event is definitely going into our calendar next year! First, there's the venue. 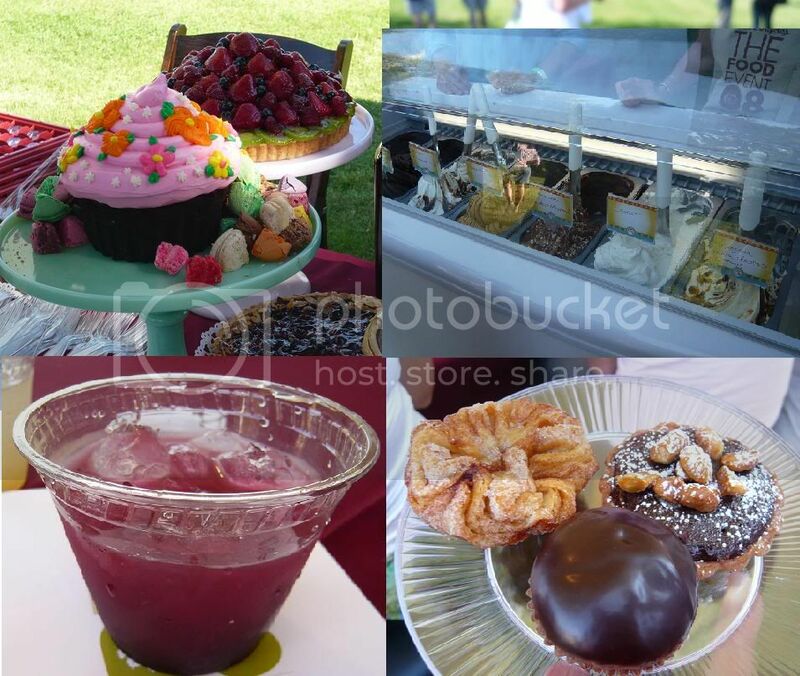 The Food Event took place yesterday (Sunday) in the grounds of Saddlerock Ranch in the Malibu Hills. 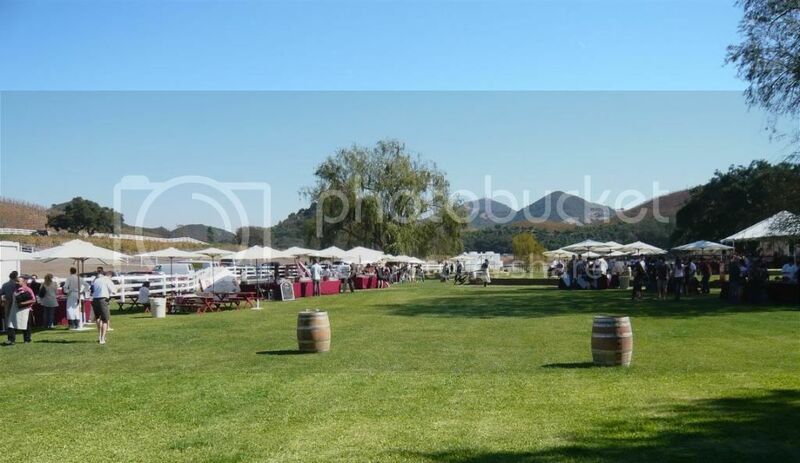 It's a beautiful property with grape vines, llamas, horses, zebras etc. A bit out of the way but the drive through the hills was similarly beautiful. Going to this event felt like a mini getaway. Albeit a bit hot, the venue definitely beats all other events. Then, there's the food (of course). 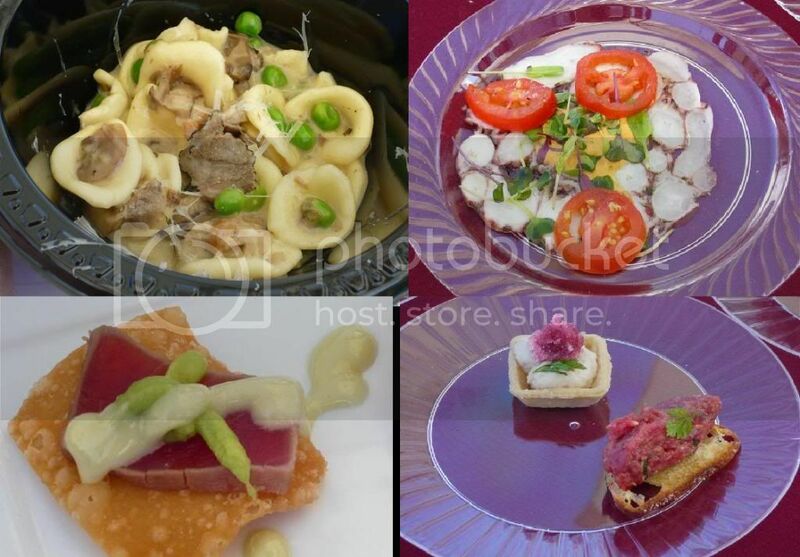 A sampling below of some of my faves, clockwise: orechiette with mushrooms and truffles (excellent), octopus carpaccio from Tra di Noi, bison tartare and pheasant mousse from Saddle Peak Lodge, and tuna tartar from Chaya Brasserie. But those are only what I started out with. There's also lobster bisque (also one of my fave there!) 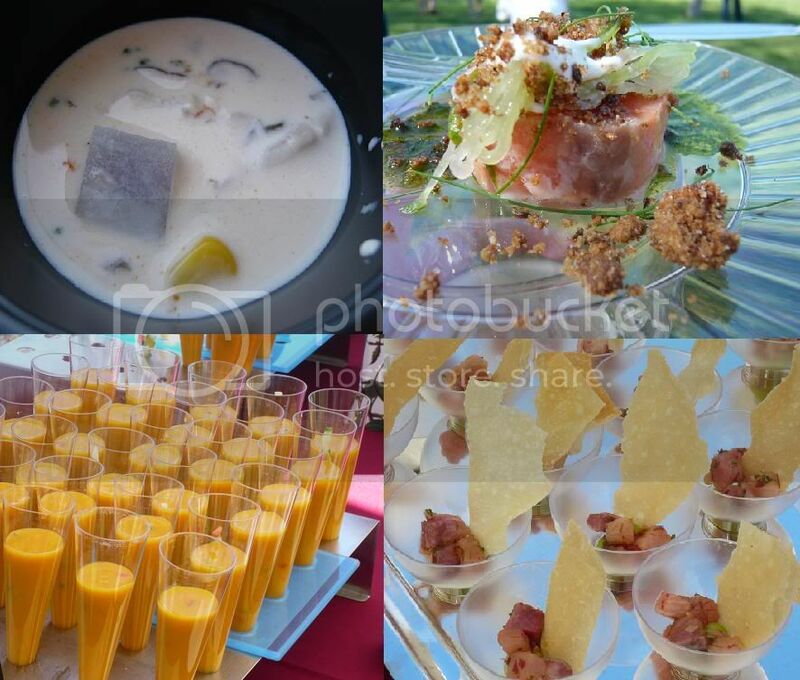 from Darren's, cold poached salmon from Paperfish, and hamachi poke and tomato gazpacho both from the Four Seasons hotel in Westlake Village. The lobster is creamy with coconut, and has a bit of spicy kick to it. 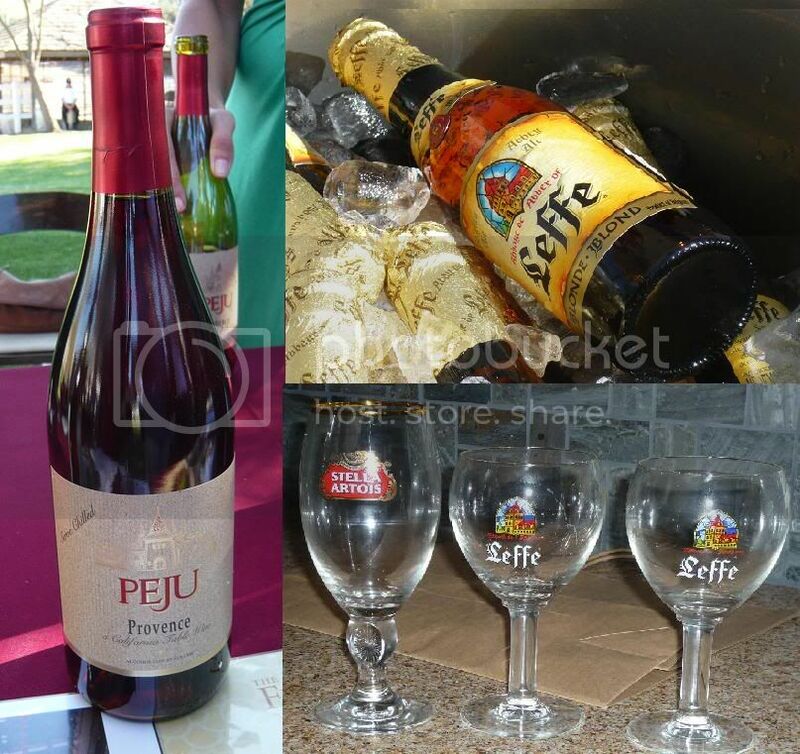 Some of the highlights are the "Provence" wine from Peju - a blend of 5 grapes that include both reds and whites. It was meant to introduce red wine to those who normally drink whites. It's a crisp, light wine with a bit of the tannin taste. As for the beer, my favorite was the blond Leffe. And let's not forget the desserts. 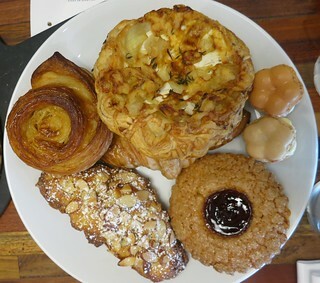 We had macaroons from La Provence Patisserie, gelato from Gelato Bar, an assortment of excellent pastries from Rustic Canyon, and some amazing blueberry mint lemonade from Lemonade - loved it (then again mint is my true love :P ). It's a hot day so the lemonades went fast! And so did all the Fiji water bottles there - my only complaint is perhaps how they ran out of water halfway through the event, although wine and beer were still abound. So that was the food and drinks. But that's not all! What really brings this event to the top is all the chef cooking demonstrations (well, and of course, eating their food right after)! The chef cooking demonstration starts off with Chef David Linville from The Shore, who demonstrated how to make mozzarella from scratch. 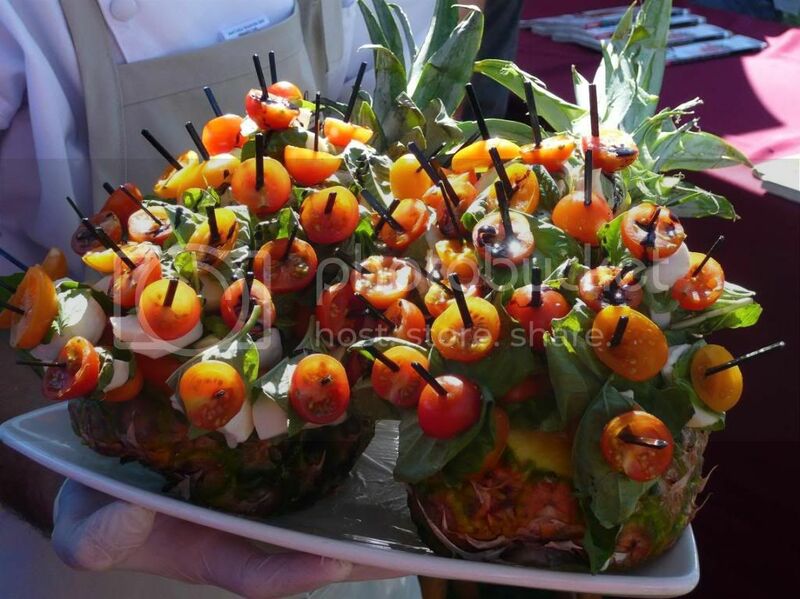 Simple but always excellent dish - mozzarella with basil leaves and tomatoes! After managing to grab some seats, Nancy Silverton set up right in front of us. Best seats in the house :) Known for both Osteria and Pizzeria Mozza, she of course brought some burrata with her. Silverton demo'd making celery pesto sauce from scratch (I got this on video, which I will hopefully post later- waiting for an OK from LA Mag PR people), and served up some celery salad topped with lovely burrata and the pesto sauce! 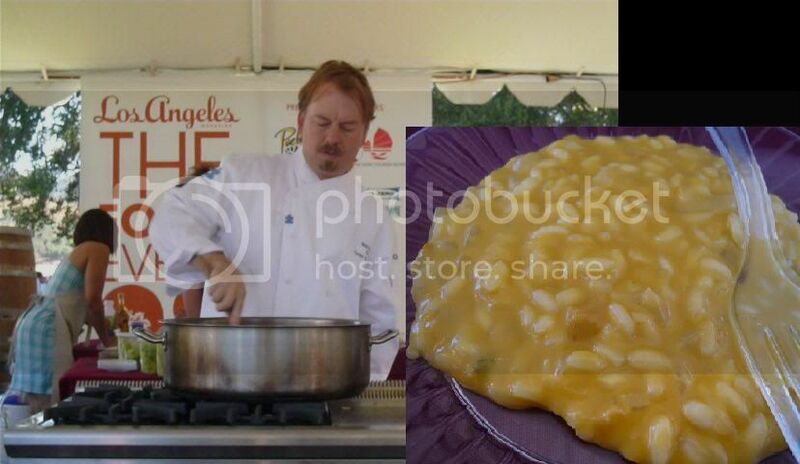 Then there's Neal Fraser from Grace, cooking up some uni pumpkin risotto! Everything was in a pot which meant we didn't get to see much. There was fun conversation about the best salt to use. The risotto was excellent. Al dente and creamy, with bits of uni still visible. 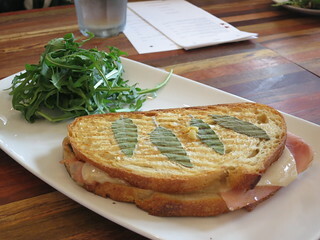 Here too they use Niman ranch meat, just like in their restaurant. Loved it there, loving it here too. The meat was so tender and falling off the bones. One of the most satisfying bites of the day (who can say no to ribs?). Kerry Simon also demonstrated wheat penne pasta, and brought tubs of his famous junk food desserts - we're talking rice krispies, cookies, and kettle corn! Yum! The awesome afternoon ended with a Cook-off, Top Chef style! Defending her reign after two consecutive wins is Top Chef's Betty Fraser, exec chef of Grub. The challenger is Makoto Okuwa, of the newly opened Sashi in Manhattan Beach (and former assistant of Morimoto in Iron Chef). Chef Fraser served up some shrimps poached in butter, kaffir limes etc, with candied pumpkin, which I didn't get to taste because they ran out (personally I'd deduct points for not preparing enough *sob*). 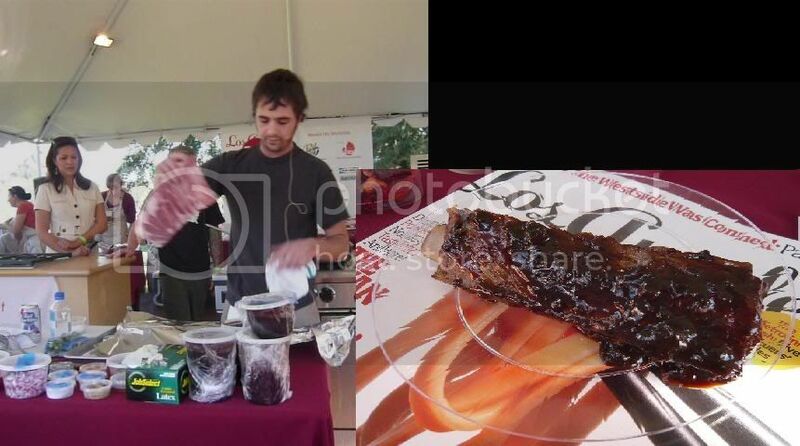 The judges all seemed to love it though and said that the shrimp was "perfectly cooked". So who do you guys think won? Make a guess and I will let you know later!